All modern rod builders stand on the shoulders of those who went before. Below are some of the tapers I find myself making over and over again, many influenced by Paul Young and Lyle Dickerson, though I can and do make many other "classic tapers". I try to replicate classic tapers of rods I've actually handled and/or fished so I can capture the taper's true personality. 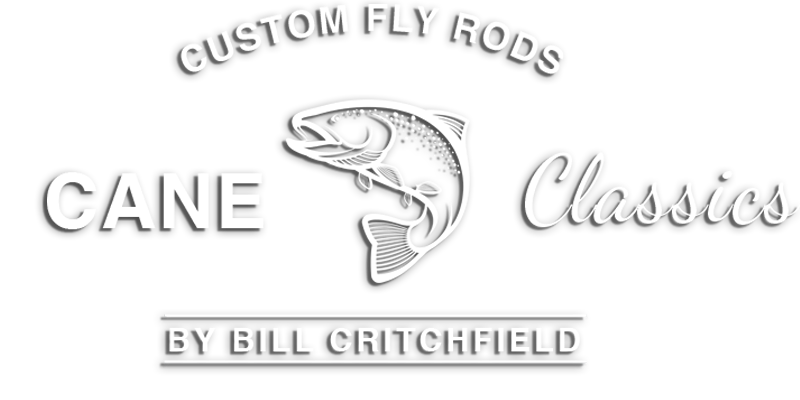 If you're looking for something specific, let's talk, then design the perfect rod for you. I've pared down this list somewhat, but honestly believe there is no river I've ever fished that couldn't be fished with one or more of these rods. Several of these tapers were developed completely by me. Medium Fast Action designed to cover your favorite stream. This taper is able to take larger fish from small water. It is a great roll caster. A copy of the elusive PHY Princess. Full working, semi-parobolic with plenty of power. A true copy of the original PHY Driggs River Special. Light, dry fly action with delicate tips. Medium action all around light line trout rod. Medium fast action progressive taper all-rounder. This is the later 5-weight version of a PHY Perfectionist. Call me and we'll discuss a rod specifically for you. In some cases this may be a modification of an existing classic taper, or the taper may be altogether new. Obviously, custom tapers take a little longer to develop and build. Please allow up to 120 days for completion of your new rod. 50% due upon order placement; balance due upon completion. © CaneClassics 2018 . All rights reserved.